In Google’s ongoing quest to soup up its social media network, the search engine just introduced Google+ Sign-In. This innovative feature will allow users to use their Google credentials to sign into third-party apps. The news is primarily geared for Web developers since they will need to start adding this new option to their sites and apps, yet once the option has been added, users will notice a new “Sign in with Google” button and G+ logo clustered beside other social network sign-in buttons on the websites they visit. PCMag.com offered additional details on Google’s new sign-in feature. According to Google, this new sign-in option will provide Google+ users with a better and more secure experience by letting them instantly access apps and websites while taking along their Google+ information. 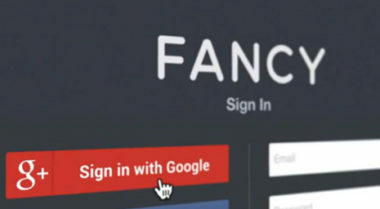 To sign in with the new button, Google+ users will simply enter with the same personal information they use to access their Gmail account, YouTube, and other Google services. Users will have the security of features like two-step verification and permission screens, along with the convenience of easily managing apps via Google. 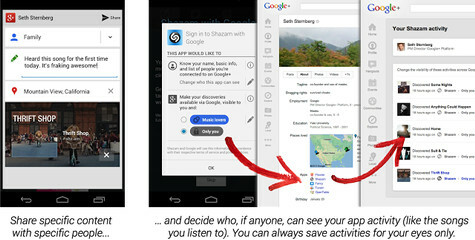 Google stated that both Google+ Sign-In and Circles will let users choose the people they share their information with and only show other app activity when it’s relevant and desired by the user. This was a direct jab at Facebook’s “frictionless” sharing service that instantly posts a user’s app activities on their Facebook news feeds, which some argue is a violation of privacy. For users who opt to share their information, Google+ Sign-In will let them quickly access the apps that their friends have mentioned and vice-versa. Simply clicking on the name of the app will take the user directly to it where they purchase, listen to, or discuss it among their friends. With this latest sign-in feature, Google is stepping up its social media game and coming another step closer to its goal of social media supremacy. To leverage the benefits of adding Google+ to your social media network, contact MDG Advertising. MDG Advertising, a full-service advertising agency with offices in Boca Raton and New York, NY, is one of Florida’s top integrated marketing agencies. Our 360° approach uses just the right mix of marketing to reach your advertising goals. While some industries may fare better in print and others online, we strive to create a balanced approach, where traditional, digital, and social media marketing efforts support each other and your message is tailored to the medium. To learn more about the latest social media trends in marketing and advertising, contact MDG Advertising.